The 60th National Film Awards were declared in the capital on Monday and one winner has made the city proud once again. The award for best playback singer (female) was bestowed upon Pune’s very own legendary classical singer Arati Ankalikar-Tikekar for the song palken naa moondon from Sumitra Bhave’s Marathi film Samhita. She won her second National Award. After her initial training at the hands of late Pandit Vasantrao Kulkarni of the Agra and Gwalior gharanas, she further honed her skills from Gana Saraswati Smt Kishori Amonkar of the Jaipur-Atrauli gharana. With influence from her gurus and a pleasant and unique resonant voice, Arati has carved a niche for herself not only in the classical genre but even in playback singing. “Arati has always been a versatile singer. She can sing classical as well as film songs with equal ease and grace. We have known her as an intelligent artiste who adapts well to any form,” said Raghunandan Panshikar, Arati’s guru-bandhu. This is the second time Arati has won India’s most respected award in films. The first time was in 2006 at the 54th National Film Awards for Rajendra Talak’s Antarnaad, a Konkani film based on the life of a classical singer. 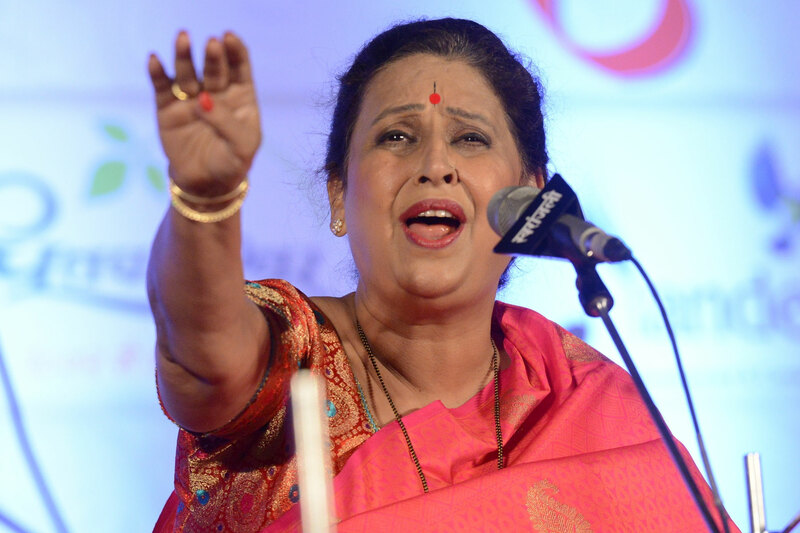 The only other singer from Pune to have won the award in this category is Anjali Marathe-Kulkarni, who won it in 1995 at the age of 15 while competing with Lata Mangeshkar and Asha Bhosale.